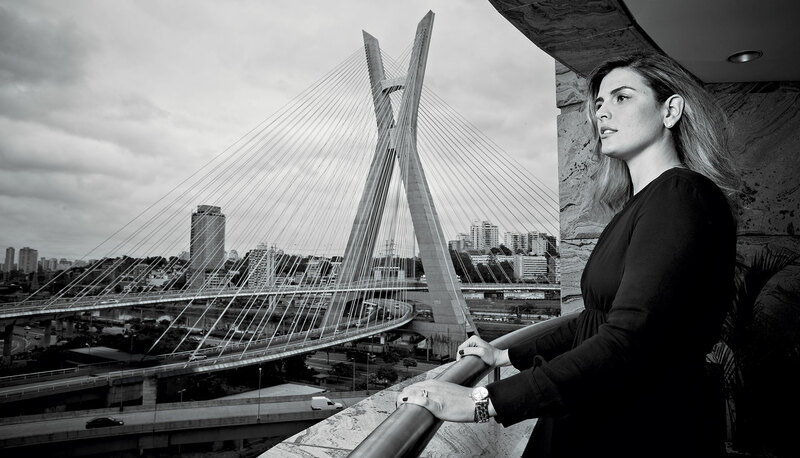 From her São Paulo office, Claudia Sender (MBA 2002) has a clear view of the Octávio Frias de Oliveira Bridge, a spectacular 450-foot-tall structure of yellow steel cables laid over an X-shaped support tower that spans the Pinheiros River and connects the city's financial district of Brooklin to the favelas of Real Parque. Cars buzz by. "See here?" she says, pointing to the bridge. At 6:30 p.m. on most days, it is a sea of snarled traffic, a city hallmark. But when Brazil's national team kicks off the World Cup 12 miles across town, the bridge will be totally vacant. "The country stops. The days that Brazil plays, it will be a national holiday," Sender says. This year, though, Sender won't have much time to celebrate. As CEO of TAM Airlines, Brazil's largest, she'll be managing operations at what will likely be the busiest air hub in the world. Part of the challenge will be the extremely concentrated demand, as more than 3 million visitors travel to Cup matches spread over a country that is the world's fifth largest by geographical area. "The dimension of Brazil poses a bigger challenge than what Germany or South Africa or London faced," she says of previous World Cup and Olympic hosts. But the country's lack of transportation alternatives—particularly a useful rail system—has also put an extraordinarily heavy burden on the airlines to move fans to disparate match sites. "I don't think any World Cup has depended so much on planes before," says Sender. She offers the US team's Cup itinerary as an example: It begins with a match in Natal, on the northeast coast, then travels to the Amazonian city of Manaus, before finally heading back to the northeast coast for a game in Recife. All told, the itinerary for the first three matches includes almost 9,000 miles of travel. "I think the logistical challenge that we have today in Brazil is probably bigger than any other country has seen." For Sender, the event has forced a complete rethink of operations at TAM, which flies to 42 domestic and 19 international destinations. Cup-specific travel is now an absolute focal point, meaning that flights typically serving leisure or corporate travelers—the latter accounting for more than 50 percent of current air travel in the country—will be reduced in favor of more site-to-site options. Cities that normally have two flights a day will now have ten. Even TAM call centers are staffed with temporary operators fluent in the languages of the Cup teams. All of which seems like a lot to ask of a 39-year-old CEO who celebrated her first anniversary on the job last month. But Sender says she's motivated by something deeper than TAM's bottom line. "I don't think Brazil today has the best image abroad. I don't think people look at Brazil and say, 'Wow, this is a country that I would love to visit.'" Those views are based on an antiquated notion of Brazil, Sender says. 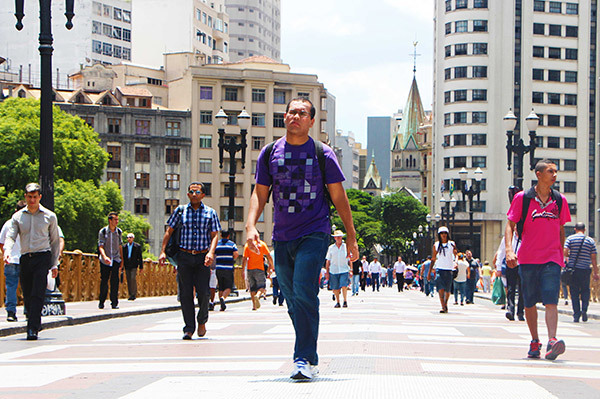 More than 50 million Brazilians have joined the middle class in the last decade, according to the World Bank, an increase of more than 50 percent. The national unemployment rate has hovered under 5 percent, touching record lows. Income inequality—though still a major issue for the country—is dropping: Between 2003 and 2009, poor Brazilians' income grew seven times that of rich Brazilians. That sprawling financial district outside Sender's window? It didn't exist 20 years ago. "This was a swamp," she says. "There was nothing." Now it's considered one of the city's "downtowns," with lunch hour mobs of dress shirts and heels flooding nearby shopping centers. That's the country Sender wants the world to see—a new Brazil, more urbane, more professional. A place where tourists want to vacation and where companies want to do business, with cities they can both enjoy. It can happen, she says. People can begin to see Brazil in a whole new way. She just needs to get them there on time. One of the things Sender likes to do as CEO is visit the airports. She's looking for the length of the lines, the number of people using the self-check-in services, how the employees are interacting with the customers. At a recent visit to the airport in Brasília, TAM's largest domestic hub, a woman who looked to be in her 80s saw Sender's name badge and approached her. "Oh, daughter, can you help me?" Carrying a bag nearly as big as she was, she handed Sender her boarding pass and told her she was taking the bus to the northeastern city of Fortaleza to visit her son. Of course, she wasn't taking a bus—few come to the airport to do so. Sender tracked down her flight, which had already finished boarding, accompanied her to the gate where agents were screaming the woman's name, and got her on the flight. "I remember thinking, there are probably a lot of businesspeople on that plane who boarded on time," she says. "But then there is this person who really cannot read. And she is a customer. And we want her on our plane. But how do we teach her how to fly?" Twenty years ago, this kind of consumer class would have been unthinkable. "In 1994, Brazil was really stuck in the mud," says Jorge Domínguez, Harvard's vice provost for international affairs and a scholar of Latin American politics. "It had extremely high inflation rates and extremely low economic growth rates." But then two things happened, says Domínguez: First, the government began enacting serious reforms—the kind of fiscal and public policy changes that made for more effective management of the central bank and the finance ministry, a more organized congress, and greater budgetary discipline. Soon, the inflation rate began to tumble from highs in the thousands to single digits—a rate carefully watched from 2003 to 2011 by Brazil's then–central bank president Henrique Meirelles (AMP 93, 1984). "Not only do you get better public management," Domínguez says, "but you also begin to get more farsighted economic policies that allow business enterprises to invest and ordinary Brazilians to save." Then came what Domínguez calls the "happy accident" of China. Some of Brazil's prime commodities exports—soybeans and iron ore among them—found a growing market as China's demands grew with its economy. And because Brazil had done the hard work of building a better policy foundation, the boom meant sustained economic growth. So while other Latin American countries that enjoyed a boost from Chinese demand—notably Argentina and Venezuela—have suffered drastic downturns as China's economic growth has decelerated, Brazil has only slowed down. 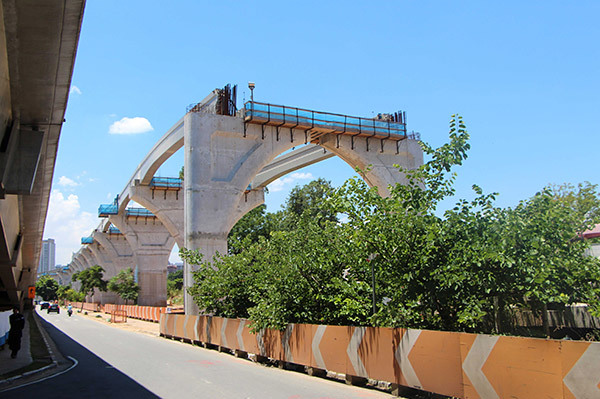 (Visitors to São Paulo can see evidence of the boom's halt in abandoned rail projects, one of which sits half-finished a block from Sender's office.) "Argentina basically used that boom to strengthen dysfunctional political systems," says HBS senior lecturer Michael Chu. "It's a real tribute to the Brazilians that they used that decade for a lot of important things—and out of Brazil has emerged some real world-class companies." The growth has dramatically widened the country's consumer markets. "All those things Americans take for granted were only available to the top 15 percent of the population," says Chu. Now, those things—cars, appliances, electronics, better housing—are increasingly accessible to the next 75 percent of the population. "It is part of that 75 percent where that change is occurring." 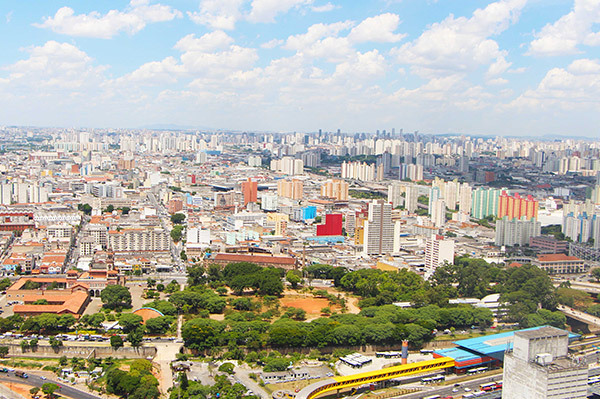 André Beisert (MBA 2009), CEO of São Paulo–based women's online fashion retailer olook, sees the impact of a new consumer class in both his numbers— he hopes to increase revenue by 150 percent this year—and his neighborhood. In the five years since he left Boston, he's seen no fewer than 15 new 25-story apartment buildings sprout up near his home. There's a new high-rise apartment building under construction just down the street from his office, too. "This street is the only street where you can see some houses," says Beisert. "But in five or ten years, there's going to be nothing but high-rises and luxury apartments." All of this has been good for business, but like airline consumers, the online consumer market in Brazil requires a bit of education, with most consumers still unaccustomed to buying online. But even in the face of this—and what he sees as oppressive taxation and constraining bureaucracy—Beisert says the opportunity here is vast. In the United States, online purchases make up over 20 percent of the fashion retail market. In Brazil, he says, it's around 2 or 3 percent. "The baby sector, fashion, bath supplies, furniture, office supplies—that's all starting or started a couple years ago," he says. "In the States, if you want to be really successful, you have to create something like Snapchat. In Brazil, you just sell shirts and you can be successful because we're so late to the game." Sender was born and raised in Bom Retiro, a Jewish immigrant community in central São Paulo, the second of four children. Her grandparents, Polish and Russian Jews, fled Europe at the outset of World War II. Sender's maternal grandfather first arrived in Uruguay, literally walking to Brazil, selling wares along the way, and finally settling in São Paulo. She grew up expecting to follow her father, a radiologist, into medicine, which she pursued until it gave way to a burgeoning interest in engineering at the University of São Paulo. By her senior year, she had two internship offers: one from an oil and gas company and another from the consulting firm Bain, which had just set up an office in the country in 1997. She turned to longtime friend and chemical engineering classmate Rodrigo Osmo (MBA 2003) for advice. "I remember he had a very convincing argument. He said, 'This is a very low-risk time in our lives. So try something new. You can always go back to chemical engineering.'" Osmo, now CEO of low-income real-estate firm Tenda, says Sender had an immediate impact at Bain. "She was the intern the CEO respected. I was so jealous," he says, laughing. "I was so good at analysis, but I was never asked to present." Part of this, Osmo notes, is because she is simply great with people. Meeting Sender, this becomes obvious quickly. She operates with a ready smile and the kind of authentic ease that demonstrates confidence without the hard lines. "She just has this fantastic emotional intelligence," Osmo says. Sender officially joined Bain in January 1998, becoming the firm's first outside hire in the country; Osmo came on shortly thereafter. The office was barely a year old—Sender estimates there were maybe 20 to 25 employees. And it felt early. "I shared my desk and the computer with one of the partner's secretaries," she recalls. She spent two-and-a-half years there, learning business at a high level. "It was like drinking from a fire hose." But something was missing. Sender felt like she still needed a more formal business education. Plus, she wanted to expand her worldview. HBS was the only place she applied. "I had lived in São Paulo my entire life and loved being close to my family. But I thought it was the moment to try to venture on my own into something else." Her parents, proud of their daughter and sad that she would be gone for two years, accompanied her to Boston for orientation. "My mom was in the housing line for me when I was in the pre-MBA classes," she says. "I remember going to my first day of classes, and it was very funny because my dad had a camera and was filming me walking to school." As embarrassing as it was, Sender is still touched by something her father told her that day: "You're fulfilling a dream I never dared to have." The transition was not easy for Sender. Everything from the lack of sunlight in the long New England winters to the constant battle with the cultural subtleties of a second language was taxing. "I had nightmares where I would raise my hand and start speaking Portuguese," says Sender. Things improved. The sun eventually came out, and she found her calling in a marketing course with Professor Das Narayandas—someone she credits to this day for helping guide her career path. When she returned to Bain after graduation, one of her new clients was TAM Airlines. As part of a team charged with optimizing the airline's network and its budget, Sender really liked the TAM people she met. They were passionate about their work, which made a powerful impression on her. Sender loved consulting but wanted more real-world responsibilities—implementing projects, managing larger groups, making an impact. She left Bain in 2005 for a job as strategic planning manager at Whirlpool. Tasked with turning around the business's cooking arm—think ranges and ovens—Sender and her team restructured the whole portfolio, relocated one of the company's major factories, and reviewed every element of the cost structure. Whirlpool offered a front-row seat for the dramatic changes under way in Brazil's economy. "When the middle class really started gaining purchasing power, the first thing they bought was yogurt. Then it was chicken," she says—both previously unattainable. Appliances came next. "We started seeing people changing their refrigerator, buying their first microwave, buying their first washing machine. The washing machine penetration was below 40 percent. Today it is above 50. That's a major change for a country of 200 million people." Six years into her Whirlpool career, she got a phone call from a former colleague at Bain—the one whose secretary shared Sender's desk and computer when she first started. TAM Airlines, he told her, was going through a merger. "They're looking for someone to be responsible for the domestic market in Brazil," he said. "It's a really big opportunity. Are you interested?" That's the other big challenge that Sender—who was appointed CEO in May 2013 after less than two years running the domestic unit—faces. Beyond the World Cup, beyond the new market she has to educate, Sender has to mesh two geographically and culturally distinct companies into one functional unit. The merger process began in June 2012, when LAN, Chile's largest airline, and TAM announced a merger, with the resulting LATAM Group controlling about 40 percent of the Latin American market. The potential for growth and development excites Sender, but she also likes the human element. "The cultural differences between the two companies are significant," she says. TAM is more prone to creative experimentation. LAN "is more analytical—like an engineer." Some of the best marriages, she adds, come from these kinds of opposite pairings: "That also describes me and my husband." Building a whole new culture, forging this new company—that's an ongoing, long-term project. This year, she's also operating with a few more near-term goals. A restructuring last year meant a lot of pink slips, so TAM wants to make sure its employees remain energized and engaged. That will also help TAM with a second goal of better serving its core of corporate consumers—which means rethinking things like in-flight entertainment and onboard service. The third is cost. "There's no way we can be a profitable and sustainable airline if we don't have a very slim and efficient cost structure," she says. "And it's a challenge for the region because there are a lot of regulations that make our cost bar much higher than our competitors abroad." The fourth, of course, is the World Cup. Her company's ability to react to the market will be critical; she knows that. 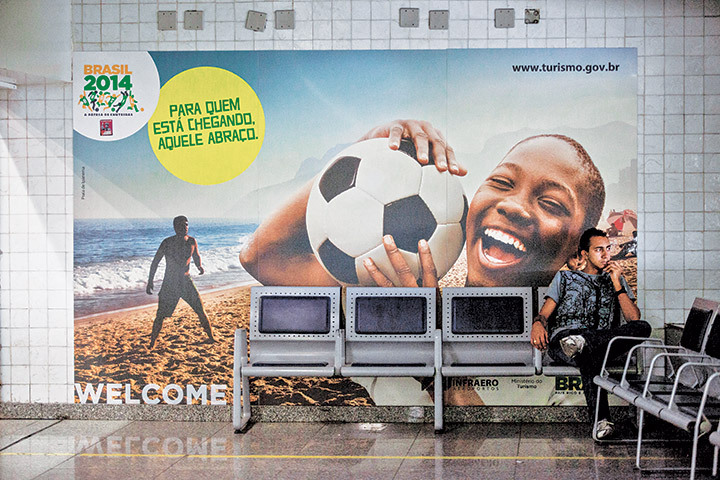 There's no overestimating the event's potential effect on TAM—especially in a country where soccer is religion. But however TAM handles the Cup, it will be a valuable lesson for setting Brazil's next big stage: the Summer Olympics, coming in 2016. Sender is unfazed. "We have two more years," she says, smiling. "That's a lifetime." More thoughts on Brazil's economy from case studies by HBS faculty. Examining the challenges Brazil faces in maintaining strong economic growth. A look at the roots of the country's economic inequality and the policies it has implemented to deal with the issue. Brazil's state-sponsored capitalism and how the country helped build a domestic automobile industry in the 1950s.